Here are some ideas on how to put a business plan together and give direction to your career. Are You Interested in Diversifying Your Client Portfolio With Voice Over Work? 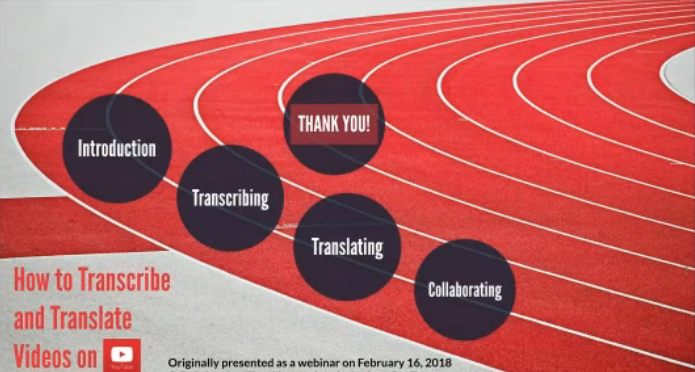 A new online session of Tools and Technology in Translation will start September 29 as part of the UCSD Extension Certificate in English/Spanish Translation and Interpretation and I'm excited to add another resource to the list of materials that students and peers can use to learn more about how to incorporate technology into their daily work life. The purpose of these videos is to share tips, some insight, and talk about the little stuff that either helps or hinders us during our routine. Here's the first installment added to a dedicated YouTube Channel that will be updated every month with short clips on a variety of topics. Feel free to leave a comment there with ideas or your own experiences on the subject. I look forward to hearing from colleagues in the T&I industry!